The Startech.com SCREWM3 is the right solution for mounting any motherboard to your PC chassis or attaching any floppy/CD-ROM/DVD- ROM drives. 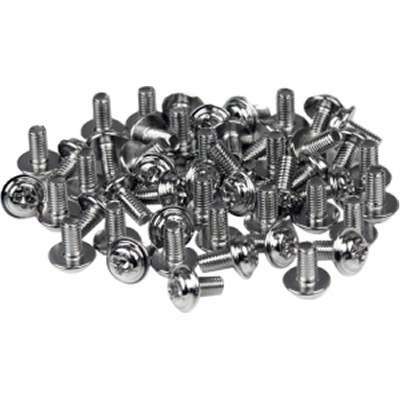 This pack of 50 M3 x 1/4" long screws are handy for building, reparing, and maintaining computer systems. Keep stocked with M3 computer case screws for hardware installations This pack of 50 M3 x 1/4in computer screws are great to have on handy for building, reparing, and maintaining computer systems, for mounting any motherboard to your PC chassis or attaching any floppy/CD-ROM/DVD- ROM drives.